I’m sure you can guess what mount names are. 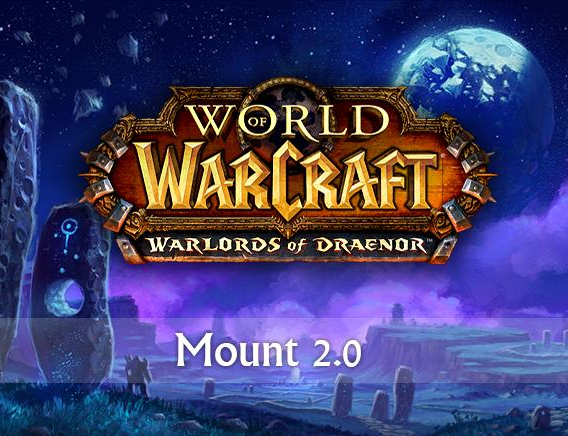 Mount traits are special abilities that each mount has such as providing a temporary crit bonus when the player dismounts or healing the player while riding. Each mount has one specific major trait and two empty minor trait slots. Once you have a mount, you’ve unlocked that trait. You can use unlocked traits in a lesser form in minor trait slots. In other words, you can’t change a mount’s major trait, but you can equip a mount with two minor traits, which are lesser forms of other traits you’ve unlocked. It’s an interesting idea, but there’d be balance issues. I’m not saying it couldn’t be done, but it would be a decent chunk of work. How about new riding skills? His proposed Mount 2.0 system would allow you to train a new riding skill that increases land mount bonus speed to 125% as well as giving your mounts an additional 25% movement speed bonus when riding on roads and 10% on paths. I think these are fantastic ideas! The system offers a number of interesting improvements. The traits sound fun, but there could be ramifications. The road and path system, however, should be implemented immediately!